PCAP are created based on TRIPLEX technology. Touch technology already has the protective glass, thus minor mechanical damage to the screen (scratches, scuffs) does not affect the operation of the equipment. Screens are often used in ticket machines, ATMs, information terminals, etc. They sustain heavy operating conditions in equipment of both on-board and land transports, in aviation and navigation systems. The screen recognizes the touch of a finger and a special stylus, but will not respond to e.g. a pencil. Suitable for medical equipment management, when the operator wears thin gloves. 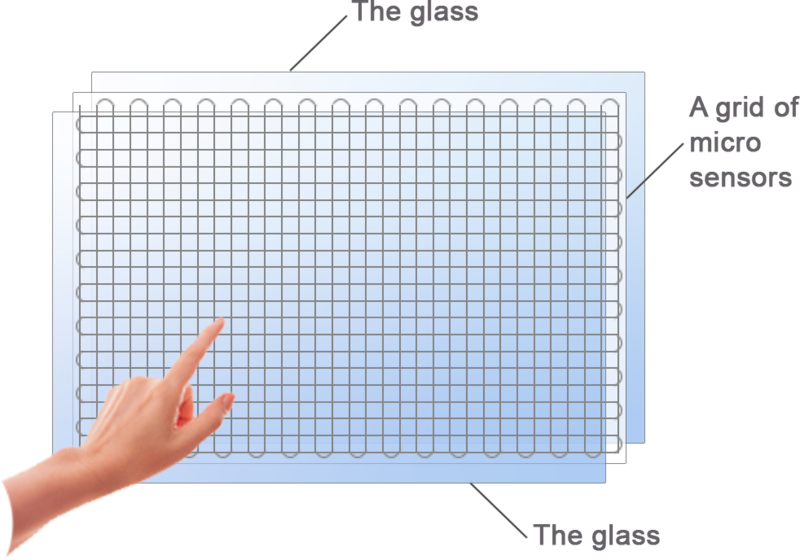 Projected-capacitive screens are resistant to pollution and household chemical fluids. High transparency of the touch screen. It is difficult to break the screen without using tools and intention to do so.